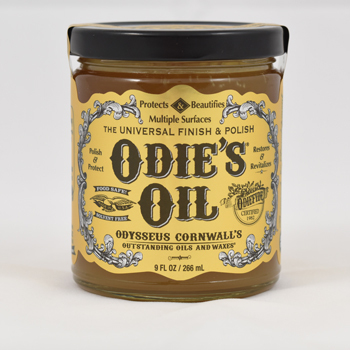 Odie's Oil is a proprietary blend of oils and waxes, born out of inspiration, hard work and a driving need to solve problems specific to the woodworker. The culmination of 30+ years of research, development and field testing in the most extreme environments produced a revolutionary product that outperforms the competition. Odie's contains no driers or any toxic chemical, and all ingredients are food-safe. 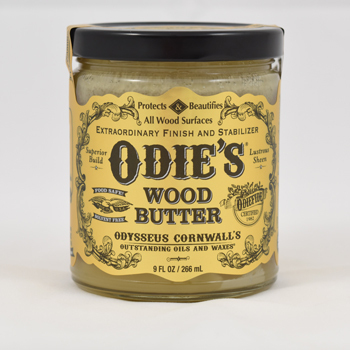 Odie's Oil Clear is great for interior and exterior applications: boats, bright work, doors, floors, decks, gates, fine furniture, patio furniture, bowls, cutting boards, kitchen implements and toys, plus it also works well as a friction polish for woodturner's. Made in the USA. Contains Natural Oxidizing Oils that Darken Wood as it Ages. Will also Add Contrast and Patina with Age. 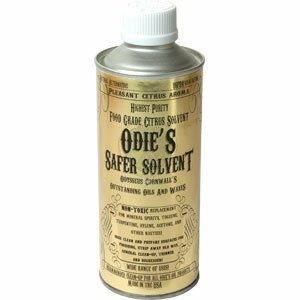 Use alone or in unison with other Odie’s Oil Finish products to add polish and sheen. Odie’s Oxi Oil creates incredible contrast. It makes blacks pop! Use to darken any wood naturally with age. Great for mahogany and other darker woods. Will actually get better with age, becoming more durable and more beautiful! Results are not instantaneous, but over time, the dark depth and rich patina are such that results cannot be duplicated with stain. Recommended for interior use. 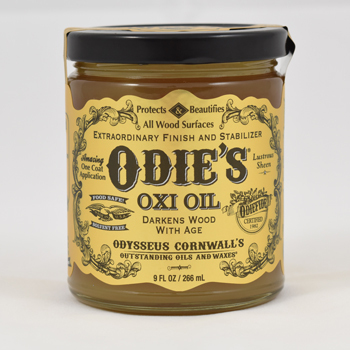 Odie's Oxi Oil is great for interior applications: Doors, Floors, Fine Furniture, Bowls, Cutting Boards, Kitchen Implements, Toys, etc., etc. The list goes on and on! OWB is great for all the same applications as regular Odie’s Oil: All Interior and Exterior Wood, Boats, Bright work, Doors, Floors, Decks, Gates, Fine Furniture, Patio Furniture, Bowls, Cutting Boards, Kitchen Implements, Toys, etc., etc. The list goes on and on! Great finish for new wood and can be used to reactivate old wax. Suitable to use over other finishes to refresh and rejuvenate. 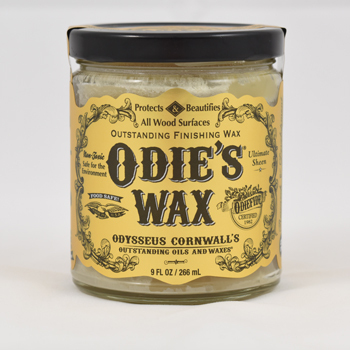 Odie’s Wax is great for all the same applications as regular Odie's Oil: All Interior and Exterior wood, Boats, Bright work, Doors, Floors, Decks, Gates, Fine Furniture, Patio Furniture, Bowls, Cutting Boards, Kitchen Implements, Toys, etc., etc. The list goes on and on!